The lord of the day for today is Sun. Moon is placed in a fiery sign. Both the weekday and the Moonsign are auspicious for a journey in the East direction. Traveling in the North direction may also be beneficial. Avoid traveling in the west or south direction, as it may not yield fruitful results, or it may create problems in achieving your objective. Worshipping the Sun before starting your journey may bring positive results, so go ahead and do that if you intend to take a journey today. Eat Shikharini (a mixture of sugar, curd, chilli, and camphor, etc.) before starting the journey to increase the chances of success. 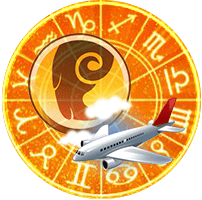 Vedic Astrology says that if you start the journey on a favrable day in the favorable direction then you will get a better outcome and better experience during the journey itself.